Natalie and Olivia want to invite you on an online fashion adventure. They want to try different styles and post pictures for their fans. 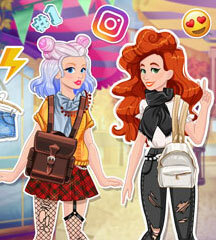 Join these two divas in one of the cutest dress up games. First, you will choose a card and see which style you get. Then, it's time to dress the first cutie. 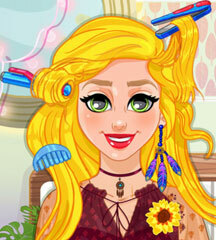 You can try on all of the clothes and accessories in her wardrobe. She will tell you if she likes the outfit or not, so pay attention to her reaction. Give some fashion tips to the next girl as well and then you can take a beautiful picture of the two BFFs. Decorate it with filters and post it online for the fans!